There are many fears about money. Fear of touching money is called chrematophobia. Fear of poverty is called peniaphobia. 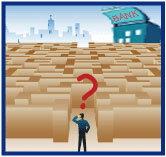 But when it comes to insuring community banks, as a Big "I" Markets agent you have nothing to fear. Our partner Travelers understands the process so well they can walk with you through the entire operation, explaining the process and details of coverages. So you don't have to fear offering Community Bank coverage unless you suffer from plutophobia, the fear of being wealthy. Having trouble deciding which retirement plan is right for you or your agency? 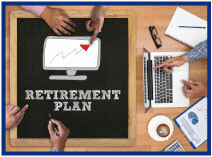 Big "I" Retirement Services is here to help you choose which plan best meets your circumstances. We've worked with more than 1,000 agencies to help them achieve their retirement goals. Our advisers are available to all IIABA members to provide consultation on existing and new plans alike at no cost or obligation. At Big "I" Retirement Services, we consider you a member first, and a client second. Whether we're building a new plan for your agency from the ground up or simply rolling over your existing plan in order to save you money with our low administrative fees, we strive to make your experience with us pleasant, professional, and hassle-free. Whether your goal is to maximize owners' contributions, lower your agency's tax burden, or retain key employees, our retirement professionals can tailor and customize a plan to fit your needs. Contact Christine Muñoz, Big "I" Director of Retirement Services, at christine.munoz@iiaba.net for more information. I love baseball. I played for many years and was thrilled when D.C. got a team again in 2005. 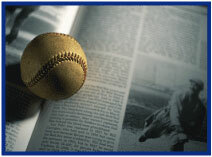 Major League Baseball statistics can be found going back at least to the formation of the National league in 1876. The number of tracked statistics can be mind-boggling and confusing, such as "DICE - Defense-Independent Component ERA: an estimate of a pitcher's ERA based upon the defense-independent components of his statistical line (K, HR, BB, HBP) but which also uses number of outs (IP), which is not defense independent." Say what?! Fortunately for you the Two for Tuesday archive doesn't get that complicated. It's a straightforward list of products and helpful articles going back to the first issue in 2003. If you want deeper statistics you can check out Paul Buse's "Parting Shot" articles. Congratulations to our agent in New Jersey on a non-standard homeowner sale of $3,221 in premium!